We were stopped for lunchtime in the black vinegar restaurant (Kakuida) in Fukuyama, Kirishima city. In this restaurant, they use fresh vegetables from their farm for the foods. Beside restaurant, they also produce black vinegar and use it for cooking. It is delicious and healthy foods, and also safe to consume because it doesn't contain alcohol. This place in very popular in Kagoshima Prefecture, many visitors from all around Japan or abroad come to this place every day. When you enter, Tsubo-chan, the mascot of this company, will be greeting us. Tsubo-chan is also popular with children because he has cute big eyes. When you come to this place, we recommend you take a photo with Tsubo-chan. 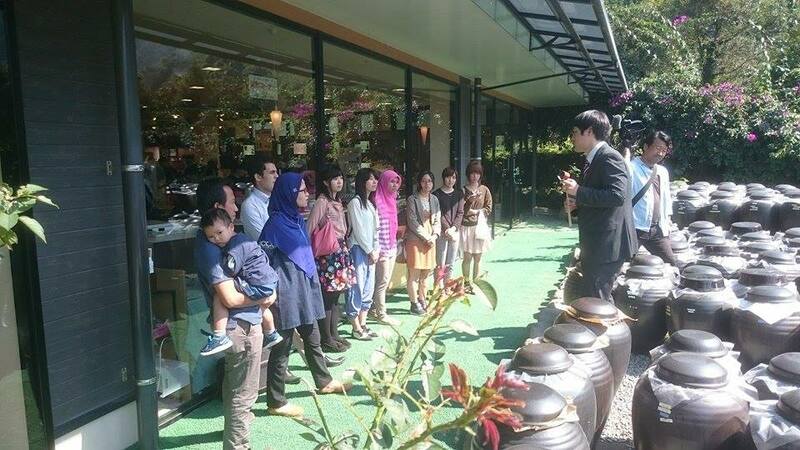 Since some of the staff can speak English, many visitors come from overseas. On this day, we met Chen san, a Chinese man who explained to us about black vinegar process either in English and Japanese. We also visited the black vinegar jar fields, the jar use for brewing black vinegar. Do you think how many jar use in that place? There are more than 20,000 jars use for brewing black vinegar. The black vinegar-making process takes time and very carefully. It contains high amino acids, including essential amino acids. Flavors and ingredients of black vinegar are different depending on the how long it made. You can taste the black vinegar from three years, five years, seven years, or even ten years. The difference is the flavor and the color, more longer it made, the taste will be better and the color comes to light brown. 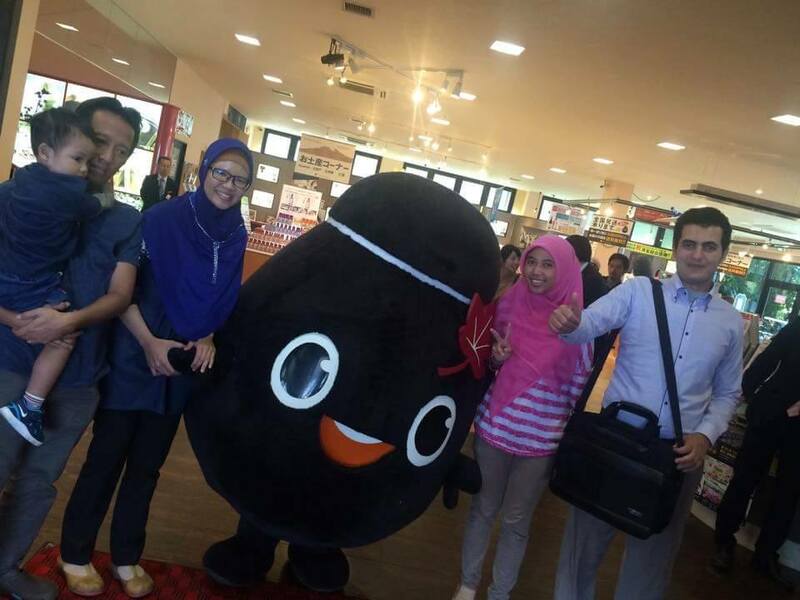 The restaurant located on the second floor, you can eat non-alcohol and non-pork food and Moslem meal also provided. They use fresh vegetables and fish. 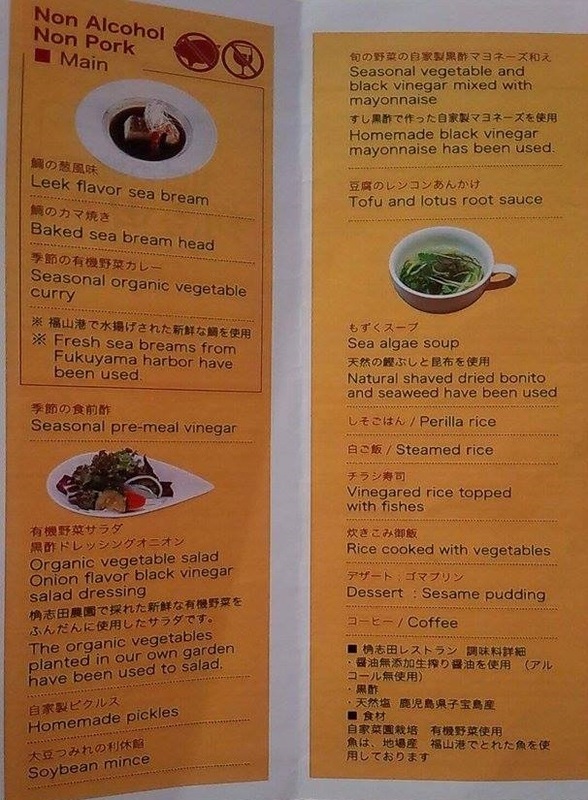 The menu also available either in English and Japanese. The main menu of this day was fish and also curry. They also served fruit vinegar, contained grape and water. Fish dishes are recommended for people who want to enjoy Japanese food because it freshly caught in Fukuyama Port near the restaurant. Japanese curry also delicious. 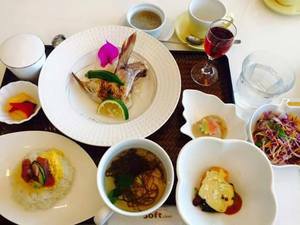 The price for the food is about 1500 yen, and it is very worthy. Beside giving taste to the food, black vinegar works to degrade the active oxygen in the body. As we know active oxygen can cause aging, especially for woman. Black vinegar also containing antioxidants, it is good for beauty and health. Recently, diet effect of obesity from black vinegar also found. In this place they also provide prayer room for Moslem visitor and it is very easy and convenient. There is no washing place for wudhu (cleaning the body before praying) but they said next time it will be improved. On the first floor, you can find black vinegar products for the souvenir. You can also try the taste freely. We recommend fruit vinegar such as apple, blueberries, passion fruits, etc. because the taste is very good. You can drink it diluted by water or soda water. Beautiful and healthy, please enjoy The Kirishima Black Vinegar.